Narayana Health, onestop healthcare destination, has launched the Institute of Robotic Surgery supported by Infosys Foundation at its flagship unit at Narayana Health City. Headquartered in Bengaluru, Narayana Health will be using the da Vinci Robotic Surgical System primarily for prostate, kidney, gynecological, colorectal and select head & neck cancer surgeries. Technique of surgical intervention on the human body is undergoing dramatic change. It has taken over 30 years for laparoscopic surgery to replace open abdominal operation. 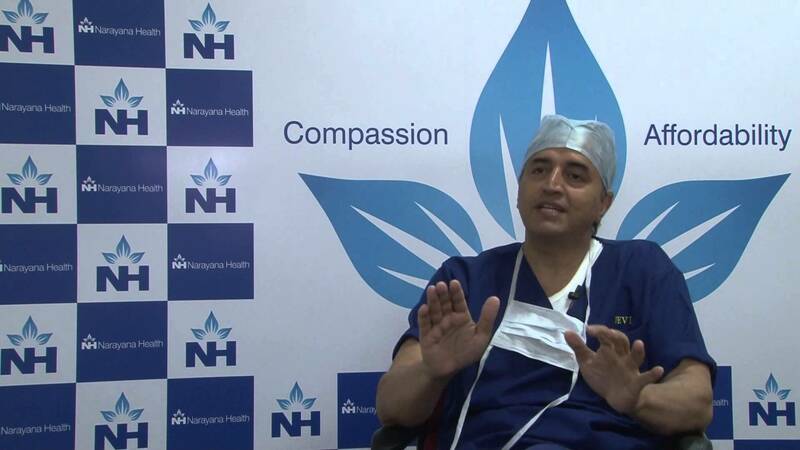 “World is on the threshold of a major transition from laparoscopic surgery to robotic surgery”, said Dr. Devi Shetty, Chairman –Narayana Health “The philosophy of creating the institution is to train any surgeon with a passion to learn robotic surgery and certify them to start robotic surgical program in different parts of the country. NH Foundation along with Infosys Foundation strongly believes that this is the only way robotic surgery services will be available to the common man of this country”. Explaining the learning curve, Dr. Saurabh Bhargava, Head of Urology Department, Consultant Urologist and Uro-Onco Surgeon at Narayana Health City said, “Our training program is mentor-based rather than building patient base to have a learning experience. We have acquired skills, so that we have competence to train others, that’s what needs to be done. So the learning experience takes place with a mentor in place at Narayana Health”. A formalized mentorship program has been put in place which all surgeons need to undergo. The Robotics team has been through an extensive clinical education, training and preparation period. The training under this program will be provided in a phased manner. Phase 1 includes basic training explaining the concepts, technology, features and functionalities. The operating surgeon has to first understand the technical aspects of its work and then the surgeon will attend a simulator workshop and practice on mannequins, followed by a period of observation. Then with a mentor in place the surgeon will begin with simple techniques and then gradually move to more complex surgeries. Highlighting the benefits of the da Vinci Robotic Surgery System, Dr. Saurabh Bhargava, said, “The access to the organ of interest can be done with key-hole procedures, but the robotic arms and instruments can be moved in such a manner that mimics your hand; compared to a surgeon’s hand, the robotic arm gives far greater flexibility and access while performing surgery. In Robotics surgery, the instrument’s arms are so well designed that you can maneuver in any direction to reach the access point with precision, so the results are functionally much better because you get a clear view”. At Narayana Health City the da Vinci Robotic Surgery System is installed in a dedicated operating room with dedicated and welltrained surgeons, assistants and staff exclusively for Robotic Surgery capable of performing complex surgeries in Urology, Gynecology, Gastrointestinal surgeries, General Surgery and various types of cancer treatments. “Robotics surgery is an amalgamation of open surgery and laparoscopic surgery. Use of the da Vinci system raises the standard of care for complex surgeries – translating into better care and numerous benefits for our patient, which is ultimately our purpose for utilizing this technology,” said Dr. Ashwinikumar D. Kudari, Senior Consultant, Surgical Gastroenterologist, Narayana Health City.